Erasmus Darwin, the renowned physician, scientist, inventor, poet, and educationalist lived on Beacon Street from 1758 until 1781. 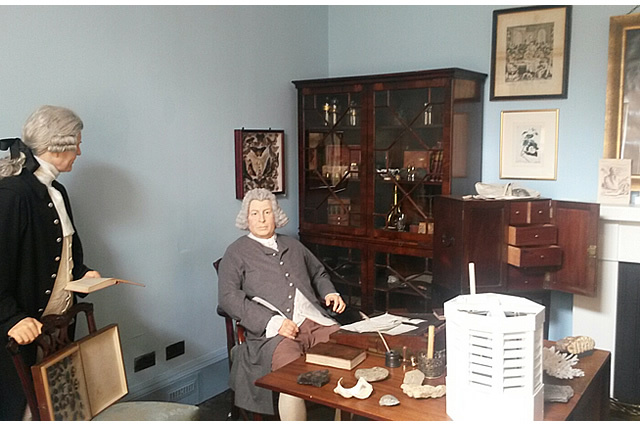 A founding member of the Lunar Society, it was here that he received many famous 18th-century personalities, including Josiah Wedgwood, Matthew Boulton, Benjamin Franklin and James Watt. Erasmus came up with a coherent theory of evolution a full 70 years before Charles turned his mind to it. He expounded this in his extraordinary book Zoonomia or the Laws of Organic Life which, first published in 1794, took him 25 years to write and also includes a comprehensive classification of diseases and treatments. An obsessive inventor of mechanical devices, he developed a speaking machine, a copying machine and the steering technique used in modern cars. Erasmus was the first person to fully understand and explain the process of photosynthesis in plants and to describe the formation of clouds. He translated Linnaeus’s influential Systema Vegetabilium – the system of plant classification that forms the basis of modern botany – from Latin to English, wrote a treatise on the education of girls, and was passionate about the abolition of slavery. Darwin purchased a medieval half-timbered building on the west side of the lower courtyard of the Vicars Choral in 1758. 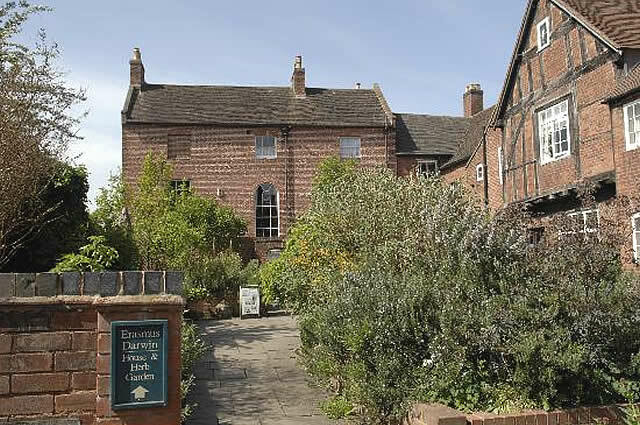 From 1758-1759 Darwin converted the building into a large Georgian town house of red brick with stucco dressings and Venetian windows. At this time the front of the house was separated from Beacon Street by a narrow deep ditch which once formed the moat of the Cathedral Close. Darwin built a bridge across the ditch descending from his hall door to the street. The ditch was overgrown with tangled bushes, which Darwin cleared and made a terrace on the bank. He planted the ditch with lilacs and rose bushes which screened his terrace from passers by. Transport: Lichfield City (National Rail) 11 minutes or bus. Bus Routes : 35, 821, 822, 823, 824, 825 and X35 stop nearby.